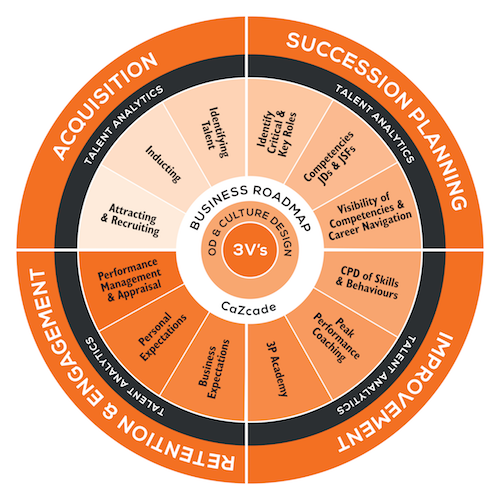 The 3P Talent Coach works with you as a strategic partner, and is your guide on the ASPIRE journey helping you to grow your people, talent and business. The ASPIRE journey begins by mapping the current and future state of your people, talent and business on the Talent Wheel. A Talent Coach will be assigned to support you on your ASPIRE journey. They will have the relevant expertise and knowledge to be your dedicated point of contact, your strategic partner. Your people and your business are unique; your talent coach will help you to create the ASPIRE1 document, a tailored strategic plan to grow your people, talent and business.